Do you have a hard time saying no? Is it difficult to put yourself first? 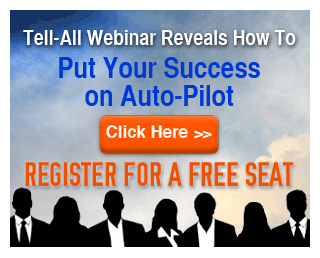 Do you feel worthy of telling yourself a new story about your life? 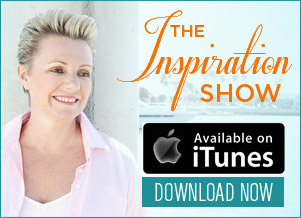 On today’s uplifting episode of The Inspiration Show, I talk to Patty Aubery, co-founder of The Canfield Group and the powerhouse woman behind “Chicken Soup for the Soul”. During the show, she shares how unfortunately many women feel unfulfilled in life not because they’re not skilled enough to reach success, but rather because they don’t give themselves permission to be extraordinary and chase their wildest dreams. 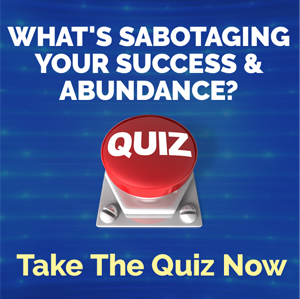 If you’re tired of playing small and you’re ready to break through the limiting beliefs that may have kept you in the shadows, then watch this episode and experience an outrageously successful version of you. NL: Hi everyone. My name is Natalie Ledwell and this is The Inspiration Show. 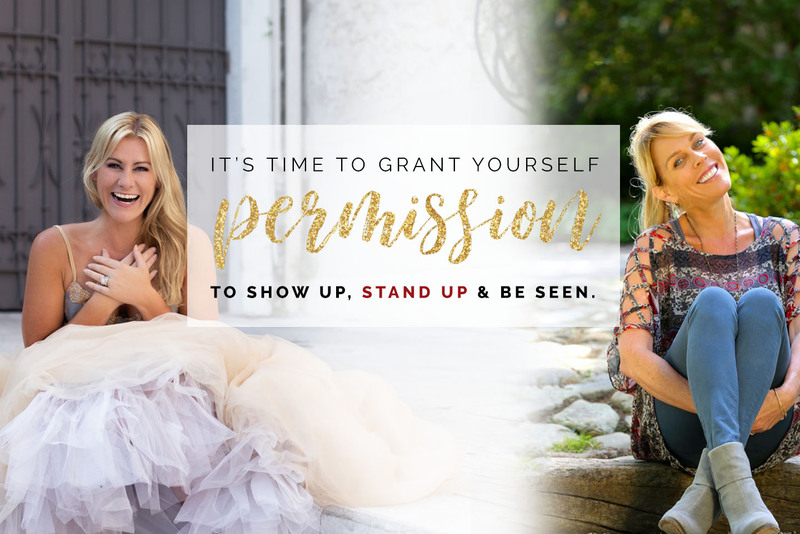 Today on the show, I have a very special guest who’s a very good friend of mine and we are going to be talking about giving ourselves permission so that we can actually move in to a very, an outrageously successful version of our lives. So before I introduce my special guest, I just want to remind you that once the show is over, don’t forget to click the link below the video so that you can download the free ebook version of my bestselling book Never In Your Wildest Dreams. Now let me introduce my special guest Patty Aubery. How are you Patty? PA: I’m good, I’m good. How are you? Thank you. NL: I’m fantastic. I’m glad that fly came in just at the right time. NL: Now, Patty is a good friend of mine and we’re both members of the Transformational Leader Council and she is the president of Canfield Training Group. Why don’t we start with just your story Patty? And how you got to, you know, where you are today in this project that we’re working on. PA: So my whole story? NL: Well… (laughter), the highlights, let’s go through the highlights. PA: Alright. Oh gosh! I grew up in a regular family and I was a valley girl. I was an official valley girl and didn’t know what I wanted to be when I grew up and somehow fell in to this world of self help at 24 when I met Jack and started to work with him. Started out as his secretary, answered an ad in the LA Times and moved my way up to those ranks of self-esteem seminars and ended up being president of Chicken Soup for the Soul for 18 years where I published 230 book titles and worked with a lot of authors which is always interesting and published a lot of books on my own and then sort of came full circle when we sold our company and now president of the Canfield Training Group and, kind of was doing that anyway the whole way along, so it’s been about a 29 year journey for me in this world of self help and having to figure out how to give yourself permission to be your best self or become who you want to be in lots of ways. NL: Absolutely. So why do you think giving permission to ourselves is such an important message for this point in time? PA: I think, the reason why it’s so important for me, at least, it’s because if I don’t give myself permission to do something, no one else is just going to show up and do it for me. And I think for so long, I used to believe that there should be mind readers in my room and you know, Jack, as my business partner, should be a mind reader (inaudible) and so forth. And I finally had to realize if I didn’t give myself permission to ask for what I wanted to believe I was worthy, to live my best life, to live my passion whatever it was, then why should anybody else. And I think so many of us out there that don’t do that and we settle and we don’t want to be a pain or act, we don’t want to be conceited or don’t want to come across as pushy or whatever it might be and it’s crazy when you think about it. NL: Yeah. And you’ve worked with hundreds of thousands of people over the years. So how do you think this shows up for most of us? What are some of the things that we should start really giving ourselves permission for? PA: I would say the biggest thing is give yourself permission to create a new story. You know, so often we don’t do things because we have these old stories. Oh I can’t be a mom and have a job at the same time. Oh I can’t be married to the love of my life, I just have to stick this marriage out even though it’s kind of crappy. Oh I’ll never be happy unless I’m a size 2. So it’s really giving yourself permission to let go of those stories and really ask yourself the question, well if it was possible, what would it look like and what would I really want in my life. And what you have said to me often is really giving yourself permission to realize that you’re really worth all of those things. NL: Yeah. Yeah and our self-worth. So this is a big thing because I feel, you know, what is your experience about women being able to really show up and ask for what it is that they’re worth? PA: Oh I think, in the beginning, when we’re not used to doing that, I think it’s the most horrifying scary thing in the planet. And here I am, I’m a San Diego State valley girl and I’m in business with the Harvard grad who basically is one of the smartest people on the planet when it comes to transformation. And so for me, it was so easy just to compare myself and talk my way out of really being seen and I was able to stay invisible by doing that. And I kept myself invisible and I think even right now Nat, it’s such a big time with all the stuff that’s going on in the world, in order for us to go from invisible to visible, we need to give ourselves permission to do that because no one else is going to sit around waiting to push us out the door. NL: Yeah, no I agree. And I know that the first book, Chicken Soup for the Soul book that you authored is a classic example of this. Tell us about that. PA: Okay, so my first Chicken Soup book was Chicken Soup for the Surviving Soul. And I did it because my mom was diagnosed with breast cancer and my sister was working for me at that time as an intern, she was my reader. We’ve got tons of stories coming in, just graduated from nursing school, my dad said “I can’t believe you’re taking her”, you know, all that stuff, he was not real happy with me. And she said to me “Hey, let’s do this project for mom” and I said “We can’t do that, I’m an employee, you’re working for me. They’re not going to let us do a book”. And she said “Why not? They are letting strangers do books. I mean, you and Jack have been working together for years. Why not?” And I had to think to myself, well why not. And I was so nervous going in to this meeting. We’re sitting at this big conference table and I said to Jack and Mark, very shy, in a way that she’s kicking me literally in the shins under the table, and I said “We want to do this project” and I shared with them what it looked like and they both looked at each other like “That’s a great idea”. And had I not done that, you know, my life would be so different. I mean, financially, spiritually, I’m sure my self-esteem would be in a different place. It grew me on so many levels, having bestselling books, traveling around the world, doing talks for other people, and that one little thing, that one little discussion that I had in my own head, could have really changed my whole future (inaudible) has been pretty enlightening and amazing. NL: Yeah. Yeah and isn’t it amazing like I know that if you are watching the show right now, there may be a point in your life or that maybe you thought of in the past where you wanted to give yourself permission to ask for something but maybe you had some fear around that or maybe you just did that opportunity past. So giving yourself permission moving forward, I think is really important with that. And part of what you are talking about here is the fear. You know, what’s your take on fear? Is it something that you which you run away from or is it something that’s just a part of the journey? PA: I think it’s just a part of the journey. I think we all have fear no matter what. And I think if we are afraid, at least we are pushing ourselves out of our comfort zone. I think the scariest thing for me is to feel comfortable all the time because then I’m not growing, I’m not experience anything new. At some level, I might even be settling. So I would say, I have to reframe, when I’m scared I totally have to reframe how I think about something. And I do that by telling myself a new story. Well, if you were worthy of that, what would it look like? Or I call somebody like you and say “talk me off the ledge”, I know I should be doing this but my own self talk is limiting me based on my own fears. How do I get out of my own way. NL: Right. And the other thing I think that’s really important that we should be looking at when it comes to permission is permission to cut ourselves some slack. (Laughter) And be our own worst critic. You know, how does that look like for you? What does that look like for you? PA: Well, I’m still working on that one. It’s hard, you know, everyday is like a new day. Sometimes I say I just don’t want to learn anything new today. But I think, somebody said to me the other day, what if you just wake up somedays and you just don’t want to do anything? And I said, So what if you just give yourself permission to not do anything today? Would the world come to an end? No. Would you maybe feel more invigorated by the next day? I mean it’s really about letting your, giving yourself enough permission to really just be a little bit. So, you know when we do anything major, whenever anything huge happens, it’s usually because we have given ourselves permission to do something a little bit different than what we normally have done and then that big idea comes. NL: Yeah. Absolutely. You know, my new motto for this year is “Just because I can doesn’t mean I should”. So what is, I think the other thing that we want to look at in giving permission is the permission to say no sometimes. Like how does that show up in your life? PA: That one, that one is a little bit easier now at 53 than it was at 25. but I have to look at it from a place of “It’s not against you, it’s for me” and so when I do say no to something, I try to say it as gracefully as I can. And sometimes I should have said it weeks or months or years ago but I just try to practice and I say to my clients, practice know when you’re not so fully invested. So when you have a high intention but a low attachment to the results or the response to that. And so when you really have to have a hard no, you can do it with grace and with a little bit more ease because you’ve been used to doing it. NL: Yeah. Yeah at to, and I think it’s really important to really assess and especially if you are very clear about where it is that you want to end up and what your goal is. Assessing that you know, is this actually going to get me there or is this one of those shiny little objects that’s going to be a distraction. Like how do you decide what are the things to say no to? PA: Well, now I have qualifications, but I can tell you in the beginning of the Chicken Soup for the Soul phenomena, you know, after 230 titles being published, in the beginning people would come and say “Oh I want to be a co-author” and Jack or Mark would be on the road and say yes. And then finally, when we got that clarity of what does a good co-author look like, how are we going to scale this and really create this big dream that we have by saying yes to everyone and not saying no to some. And so it was really, having the experience now what it looks like when I didn’t say no and what that opportunity cost was. So by saying no, we just had one thing, it might be a little uncomfortable but by not saying no there’s so much fallout to that that it’s ridiculous. NL: So I believe for us to have a life where we can fully give ourselves permission to lead this incredible life. The foundation of that is our daily practice. So what are the things, what is your daily practice look like? What do you do in a daily basis? PA: So my daily practice, almost daily, it’s not everyday, is I definitely do some sort of exercise in the morning. I do some sort of meditation. And I really am mindful about what I put in to my body. So I try to eat really well specially in the morning, that green drinks and all kinds of yucky stuff I put in there. And then I usually look at a list from the evening before about what I said that I was going to do the next day. Because I think it’s important to kind of keep your word in. If I just wake up, I used to get up sometimes really early in the morning and I would just think I must get ahead of everything and I would run down to my office and then before I knew it it was five o’clock and I hadn’t taken a shower, I hadn’t eaten, I hadn’t had any water, and that really wasn’t any further ahead than I would have been if I had done the right things to stay grounded and centered. NL: Yeah, isn’t it amazing if we choose to just take those extra few minutes or even if it’s like an hour where we dedicate to our self care and give permission to give, like to love ourselves and care after ourselves that we can be more productive and get more done than if we were just to race off like that. NL: And so I know that you are working on a, like working with a lot of women right now on helping them give permission to themselves. There’s a story or something that you can share, someone that you’ve worked with that you know, when they finally realized “Oh, if I just given myself permission” , given myself permission in this place that has actually helped to change the results that they’ve seen in their life. PA: So many. I mean, thousands and thousands of women that I’ve worked with have said when you told me that I was worthy of going back to work and having kids at the same time or when you gave me permission to leave that abusive husband or not maybe even physically but just verbally or when you encouraged me that I could be my best self if I was willing to take that chance. There was so many of those, to think of just one, I have a girl yesterday who I’m always giving people permission to ask whatever it is that they want. And so she sent me a note last week saying I know this is an unbelievable, ridiculous request, but is there any way that Jack Canfield would be on my podcast. It was actually about a month ago and I said, you know, I’ll see what I can do. And so I asked him to do it and he finally said yes, and then I put it on my calendar instead of his and so yesterday around 4.30 I said, hey by the way you had a podcast today. He wasn’t so happy but he did this podcast, she called me and she’s like “This changed my life forever. This was the most amazing podcast ever. Over the moon excited. And that you for reinforcing why it’s so important for me to continue to ask for what I need and also because when you do that you really validate what you’re worth. NL: Absolutely. Darling, Patty, thank you for joining me today. If people want to reach out to you or connect with you and find out more about what you are working on, where can we send them to do that? NL: Right. So guys we will make sure that you can either click on the banner directly to the side or the link directly underneath this video to go directly to Patty’s website from there. So thanks again darling. It’s awesome chatting to you. NL: Now guys, I encourage you to please share this video. Let’s get the word out. You can do that by clicking the Facebook and the Twitter share buttons on this page. Now remember to click the banner or the link to go straight through to Patty’s website and after all of that is over, click the link below that so that you can download the free ebook version of my bestselling book Never In Your Wildest Dreams. So until next time, remember to live large, choose courageously, and love without limits. We’ll see you soon.